Since its launch, the Pelé Sports Trinity 3E has mostly been known for its minimalistic and elegant design  but this is about to change; as Pelé Sports have decided to work together with English graffiti artist SheOne. 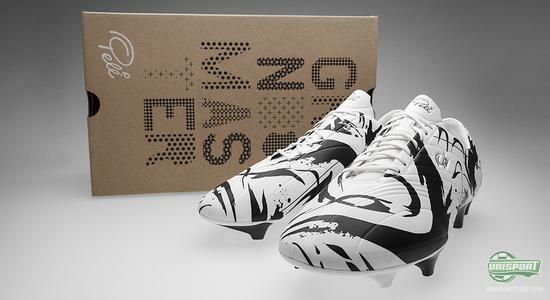 The result is a daring, Limited Edition version of the Trinity 3E  which you can see right here. Once in a while we get spoiled with fantastic limited colourways, and now we can reveal a new one. 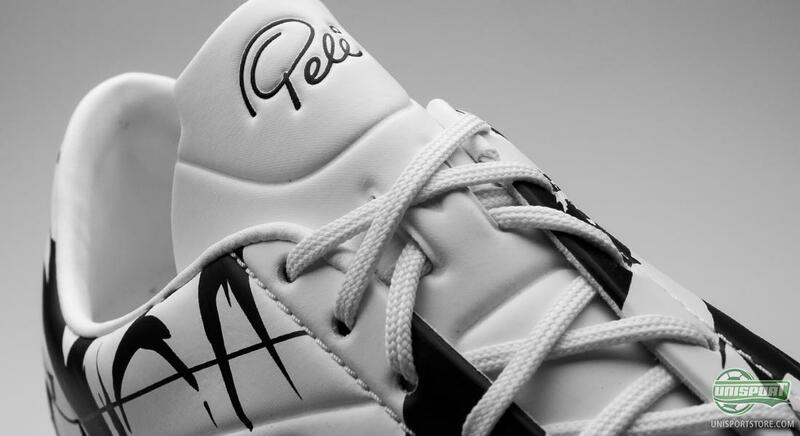 One of the absolute biggest football legends, Pelé, and his sports company Pelé Sports have teamed up with one of the hottest graffiti artist on the planet right now, SheOne. 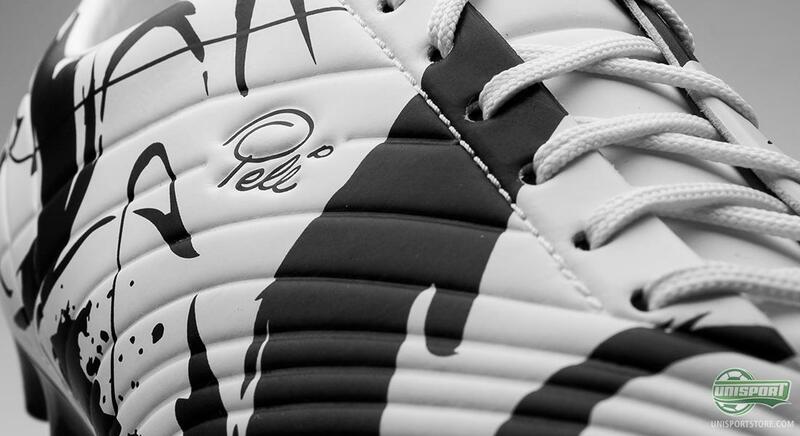 Pelé Sports have delivered the boot and SheOne has delivered the design. 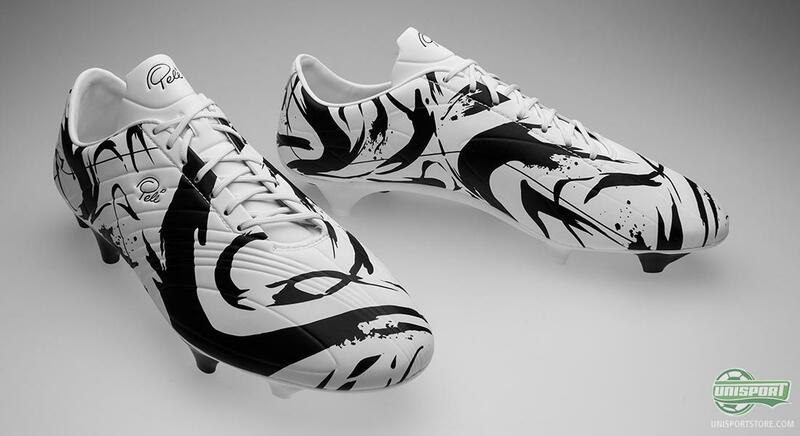 The result: Football boot history. As Pelé Sports introduced the Trinity 3E SL, the Germany-based company with the Brazilian legend's name rapidly gained a lot of attention. With the new SheOne design, Pelé Sports have once again managed to steal the spotlight with a colourway, that might very well split the crowd. What is your opinion on this piece of football art? SheOne, or James Choules, which is his civil name, has used his graffiti art as a point of departure for the new design. SheOne is recognised as one of the leading graffiti artists, and is inspired by the graffiti from the 1980's New York. The inspiration has followed on to the brand new Pelé Sports trinity 3E, which has been an instant hit here at the office. Previously, the Pelé Sports Trinity 3E has been very streamlined in its design, with only one main colour, which has been a great contrast to the very modern technologies of the boot. 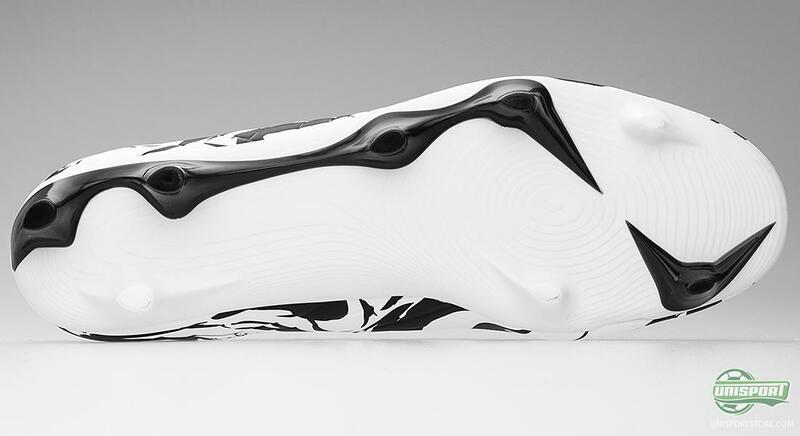 With the visually catchy SheOne design, the trinity 3E is ready to conquer the world and make itself noticed, and with its unique design it might very well become a collectible. 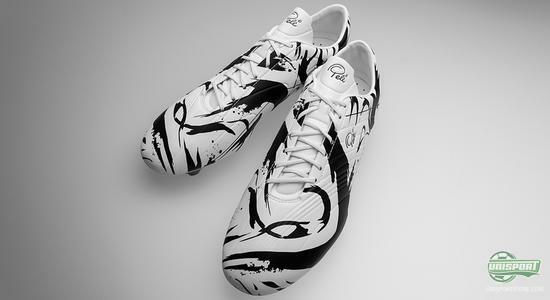 When our WebTV host, Jacob, reviewed the Pelé Sports Trinity 3E, he focused a lot on the excellent comfort of the boot. It has an excellent snug fit as a result of its Symbioskin microfibre upper, which wraps nicely around the foot and provides a secure and comfortable fit. In addition, it is a very thin upper that provides an extraordinary touch on the ball, and you will feel a clear sense of dribble control. In other words, it demands dribbling, exactly like Pelé would do it. The central lacing provides your foot with a stable fit in the boot as you tighten the laces, and hereby the Trinity 3E is able to combine classic virtues with innovative lightweight technology. 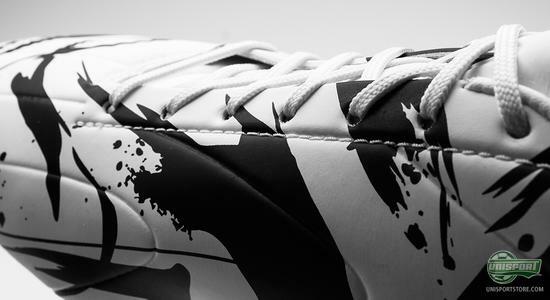 On the inside of the tongue they have also added Memory Foam, that serves to make the comfort even better. It's an area Pelé himself has put a lot of effort into and the results are truly stunning. The cocktail of comfort and low weight, is one rarely seen mixed better and if you look at (Jakob's review), you can only nod in agreement, at the parallels drawn to the Vapor III. 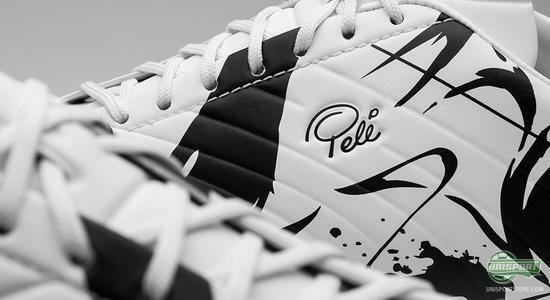 Pelé sports trinity 3E SL SheOne Limited Edition is a unique piece of football art. 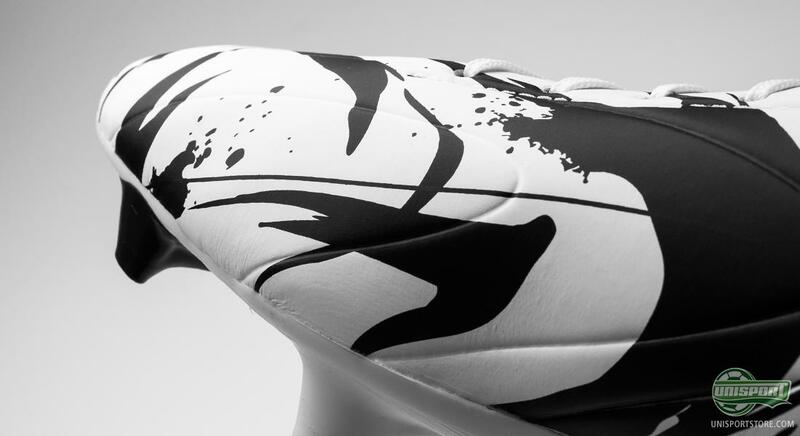 The combination of one of our times greatest footballers, in the shape of the Brazilian Pelé, and one of the sharpest graffiti-artists, at the moment, ensures that functionality and design collide to make tantalizing magic. So if you want a boot, that makes you stand out, a boot, that always gets all the attention and a boot, that encourages you to play the beautiful game with a cheeky twinkle in your eye, then you wont find a better match. Another very central area, Pelé in conjunction with Pelé Sports, has been working on, is the prevention of injuries and this is where the revolutionising stud system comes into play. 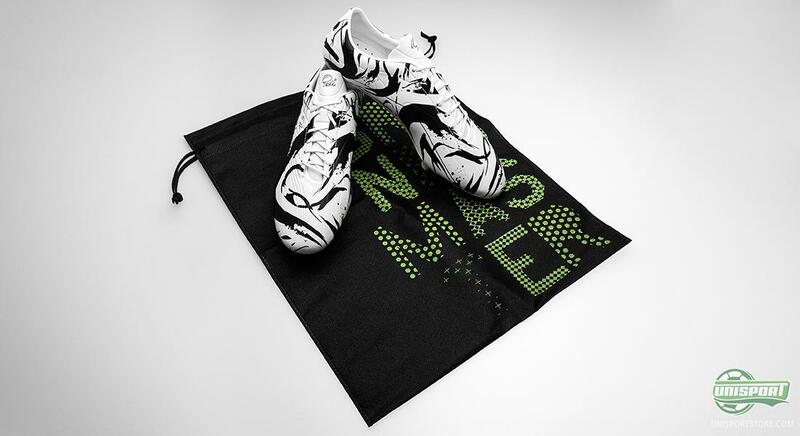 It has been designed to train your muscles more than your average boot, and this helps to avoid muscle injuries. Furthermore, it is supposed to stimulate the brain, as to make you feel faster and then physically become faster. - Yes, they have given this some thought! But, whether or not you want to use them, or just keep them as a collectible, is entirely up to you. Either way, you easily get your money's worth. 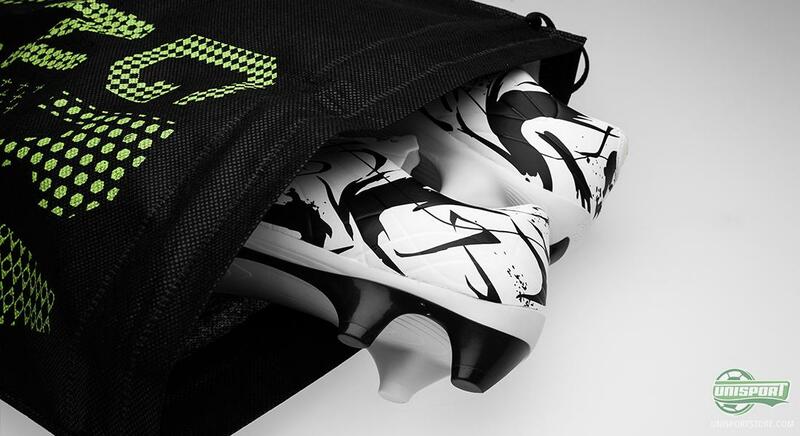 Pelé Sports Trinity 3E is one of the most revolutionising speed boots on the market and with its minuscule weight of only 170 grams, it's among the lightest. 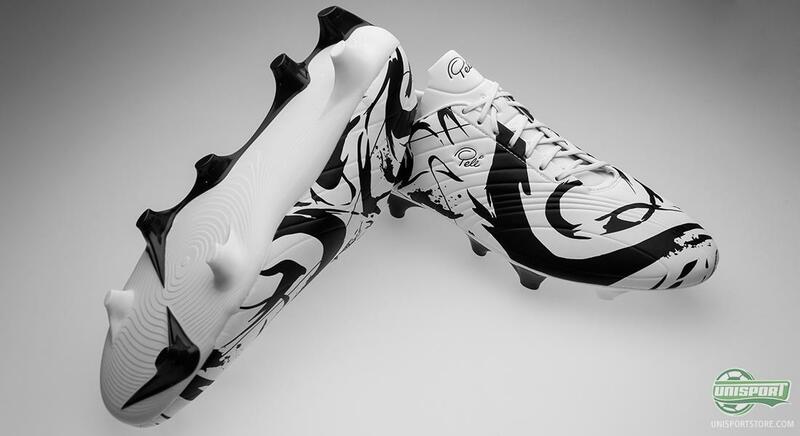 Furthermore, the boot has this unique design that will definitely be a great addition to any boot collection. Have you made up your mind as to how you will make use of your pair? 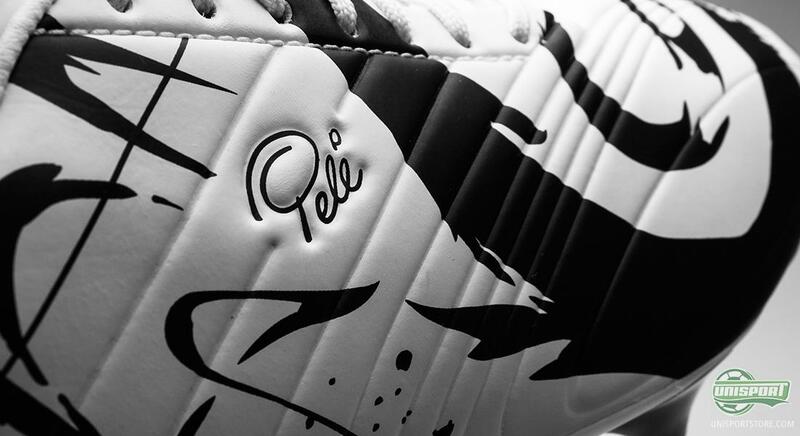 The boots have already landed in our warehouse and you can order your Pelé Sports Trinity 3E SL SheOne Limited Edition right here  just 181. 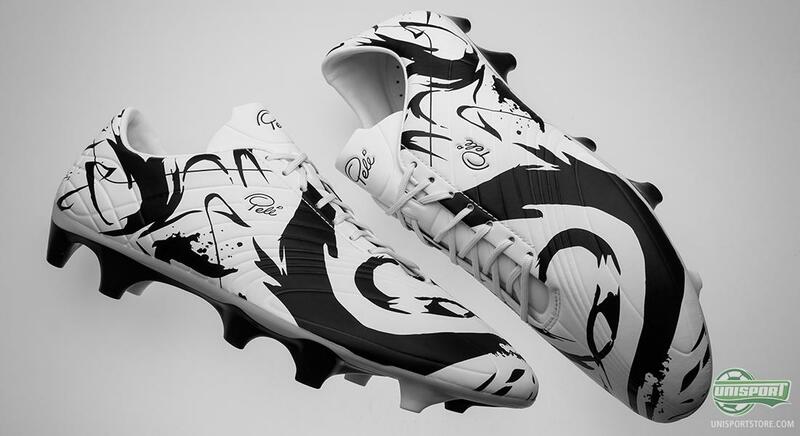 We are speechless by this fantastic colourway, and we very much applaud the cooperation between Pelé Sports and the graffiti artist SheOne. What do you think of the boot? Is the colourway something for you? You are maybe even considering getting a pair? If you are, will you then use them or just display them in your boot collection? Feel free to leave us a comment in the field just below.